On behalf of the faculty, staff, and students, I welcome you to the College of Business Administration at California State University, Stanislaus. 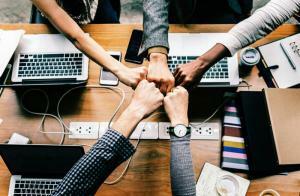 Our mission is to deliver a professional business education that offers our students the knowledge and skills to succeed in their careers and in society. We strive to offer our students an accessible, affordable, professional business education that empowers people of all ages and backgrounds to transform their lives and realize their potential. Accordingly, we seek to maintain an environment dedicated to educating a diverse, multi-cultural student population. The College of Business Administration consists of three departments: Accounting and Finance, Computer Information Systems, and Management, Operations, and Marketing. We offer one undergraduate degree program with several concentration options and three graduate programs. 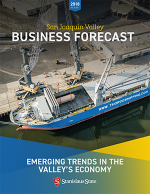 California State University, Stanislaus is pleased to present an annual business forecast for the San Joaquin Valley economy. Forecasts, which will be presented yearly with mid-year updates, will provide businesses with detailed information about trends in the region relative to those of the state and the nation.